More Than You Ever Imagined! 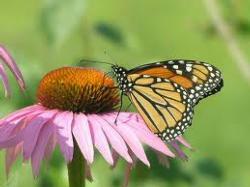 Pollinators are a sign of a productive, healthy garden. They buzz around looking for pollen and nectar. As these busy workers jump from bloom to bloom to sip on nectar, they transfer the pollen from one flower to the next one, pollinating the bloom. This pollination helps the plant set fruit. Flowers that especially attract pollinators are: aster, black-eyed Susan, butterfly weed, coreopsis, daylilies, goldenrod, hibiscus, lavender, lilac, marigold, sunflower, zinnias, purple coneflower, redbud, Shasta daisies, rosemary, and verbena. The same plants that draw bees, also attract other pollinators such as butterflies. 1. Pollinators prefer clumps of flowers over single flowers. 2. 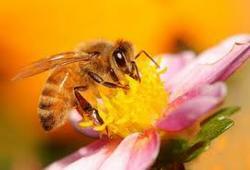 Bees have good color vision and flower colors that particularly attract bees are blue, purple, violet, white and yellow. 3. Include flowers of different shapes and use local native plants rather than exotic flowers. There are thousands of different species of bees in North America, and they are all different sizes, have different tongue lengths, and will feed on different shaped flowers. 4. Have a diversity of plants flowering all season. By having a sequence of plants flowering through spring, summer, and fall, you can support a range of bee species that fly at different times of the season. 5. Plant where bees will visit. Bees favor sunny spots over shade and need some shelter from strong winds. 6. Don’t use pesticides because they kill beneficial bugs as well as the pests. 7. 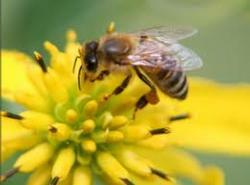 Bees need water, too, so make sure there is a source of fresh water available for them. 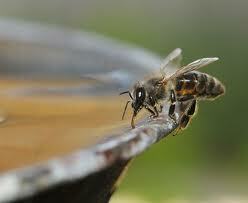 Fill a shallow container with water and add pebbles and twigs for the bees to land on while drinking. Bee-friend the bee and your garden will thrive!